Broadband Innovation has been set in motion. 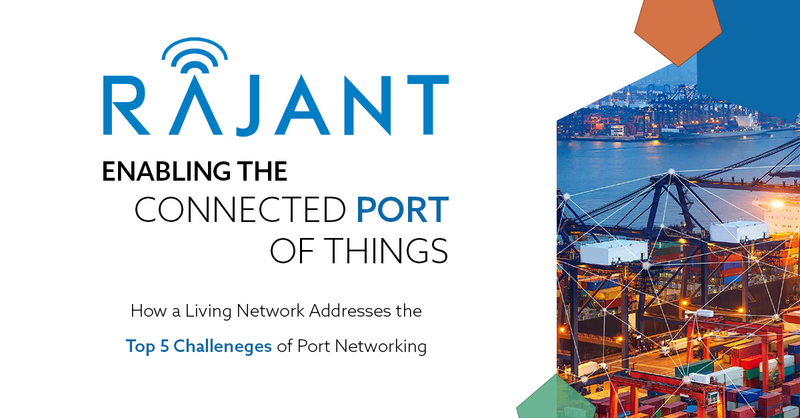 Rajant Corporation, the pioneer provider of pervasive, multi-frequency wireless solutions – is changing the way the world utilizes mobile infrastructure by bringing to life agile, scalable, high-performance networks that connect the diverse environments in which they operate today. Rajant Corporation is the exclusive provider of private wireless networks powered by patented Kinetic Mesh® networks, BreadCrumb® network nodes, and InstaMesh® networking software. Rapidly deploy a highly adaptable and scalable network that leverages the power of real time data to deliver on-demand, critical business intelligence from the field. Rajant’s Kinetic Mesh® networks are fully mobile, private wireless networks that maintain continuous connectivity without the troublesome hand-off issues that other wireless and Wi-Fi vendors experience. Our networks easily integrate with existing satellite, fiber, LTE, and fixed wireless networks and sustain any-node to any-node connectivity through years of high-quality service. The Rajant VHDC-series consists of passive Power over Ethernet (PoE) compatible DC/DC converters designed for high reliability in military and industrial applications. Manufacturer replaceable input and user replaceable output fuses on VHDC-24V-50W and VHDC-48V-50W, and user replaceable input and output fuses on the VHDC-24V-50W-LC to protect the devices from over-current conditions. Wide 10–36 V input range, which is useful in stabilizing the power from input sources such as vehicle batteries. High power 24 V or 48 V, 50 W isolated and regulated output. VHDC-24V-50W and VHDC-48V-50W ONLY: Designed to meet the IP67 (6: Dust-tight, 7: Waterproof) ingress protection specifications, making them ideal for outdoor applications. Rajant’s KMA-Series omnidirectional Kinetic Mesh® antennas consist of a linear array, encapsulated in a heavy duty fiberglass radome with a thick walled mounting base for reliable long-term use in harsh environments.